US households with a Netflix or Hulu account are most likely to be cord cutters. camera (Getty Images) A man is pictured using a remote control for his television in this stock image. More people are cutting the cord. 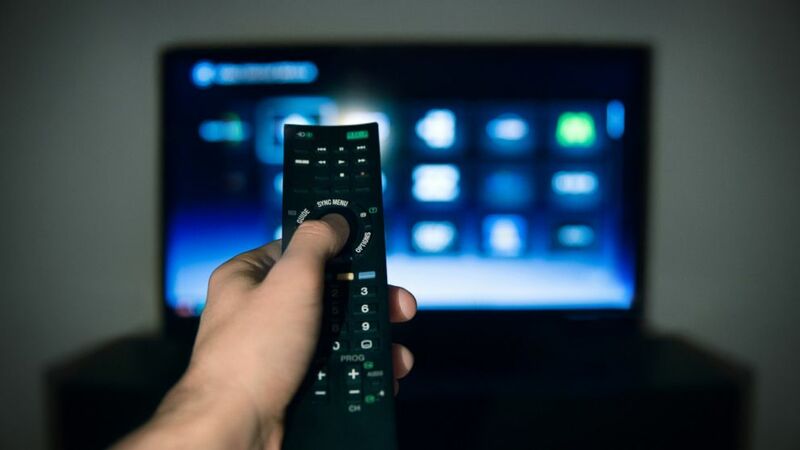 The ranks of Americans who no longer get cable or satellite TV have increased 44 percent in the past four years to 7.6 million households, according to a new report by Experian Marketing Services. Approximately 18.1 percent of all US households with a Netflix or Hulu account are considered to be cord cutters, the report found. This includes many independent young adults who have never paid for TV services. The report comes as the US Supreme Court is about to take up the case of Aereo, which rents TV signals to online customers via tiny antennas the company maintains. Broadcasters have challenged the legality of the service, which doesn't pay any fees to content providers. The report found that households where one of the residents owns a smartphone or tablet are at least 20 percent more likely to be a cord cutter. In fact, smartphones are the most commonly used device to watch downloaded or streaming video. The top mobile apps include YouTube, Netflix and CNN. But video remains popular despite the cord cutters. Some 94 percent of US adults watch some version of video content each week, Experian said. One in six adults watch at least 40 hours of TV a week, suggesting that live programming or video recordings on a DVR still has major appeal.